Is public WiFi security good enough ? Is HTTPS safe on public wireless hotspots ? 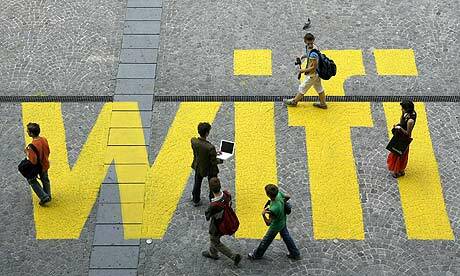 What are the risks of using public WiFi ? If you have been asking all these questions to yourself every time you used a public internet connection then you must consider following points before latching onto your next free or complimentary wireless internet connection. An evil twin mechanism is where an intruder could setup a fake WiFi hotspot which bears the name of a legitimate one. When unsuspecting users log on and use their username and passwords the intruder can record them. To avoid this gap in any public WiFi security make sure that you ask the WiFi owner of the real hotspot name before logging on it. Shopping on public WiFi is a big no no. If you are shopping at a public wireless hotspot that means you are not only using your usernames and passwords but also the credit card information. Credit card information and their linked addresses can be easily used by an intruder to steal your identity. As a public WiFi security measure do not use your username passwords or credit card information unless you really need to. Companies like VeriSign issue certificates stating that the online merchant is genuine. If you are using a online merchant for first time and it does not have a VeriSign certificate, it could be a trap from an intruder. Do not use such a site. Any type of public WiFi security cannot protect you if the website you connect to is a trap by intruders. This scenario holds true for non public WiFi or internet connections also. HTTPS is generally safe for public WiFi security. HTTPS guarantees that whoever is receiving your data gets it encrypted. However the burden of making sure that receiver is genuine and not an intruder is your responsibility. Check with the public WiFi hotspot provider before connecting to it. A VPN connection makes sure that all your communication via a different network. This makes not only your surfing on browser but all the data transmission happen via your trusted virtual network. A VPN is like a tunnel through which data gets transferred encrypted on both the ends. Even if public WiFi security is compromised, an intruder cannot decipher your encrypted data connection between your PC and network you are connected to via VPN. If you have any other recommendation please share below.